Join us for the start of something special! Just one week before the TCS New York City Marathon, this race travels the roads of Central Park and ends at the Marathon finish line. Event hashtag: #PolandSpringKickoff—use it in your public tweets, Instagrams, and Facebook posts! Mile 1: Start on Central Park’s West Drive near 67th Street and head south around the southern loop of the park. Mile 2: Bear left and run north on East Drive, climbing Cat Hill (about 600 meters) between 72nd and 78th streets. Mile 3: Continue north on East Drive on a straight, flat section, then downhill to a left turn onto the 102nd Street Transverse. Continue downhill to West Drive. Mile 4: Turn left again on West Drive and run a series of three rolling hills between the Transverse and the Jacqueline Kennedy Onassis Reservoir. Mile 5: Enjoy a downhill, and then a flat section of the course, before finishing on West Drive at 69th street. In 2016, the NYRR Five-Borough Series will once again finish with the NYRR Staten Island Half, a race dedicated to making a positive impact on the borough that hosts the start of the TCS New York City Marathon. Scheduled just four weeks before the TCS New York City Marathon, the NYRR Staten Island Half is a perfect tune-up for NYRR’s flagship event and features fabulous views of New York Harbor and the Verrazano-Narrows Bridge. Looking for a shorter distance? Join us for the NYRR Staten Island 5K! It's open now for registration and it finishes at home plate in Richmond County Bank Ballpark. The NYRR Staten Island Half is a part of NYRR's Five-Borough Series: Run New York. Five Boroughs. One City. The NYRR Five-Borough Series showcases our renewed commitment to the individuals and communities in each borough. More than just five races, the NYRR Five-Borough Series—the United Airlines NYC Half, the Airbnb Brooklyn Half, the Queens 10K, the New Balance Bronx 10 Mile, and the NYRR Staten Island Half—is a celebration of what makes each borough unique, inspiring, and an amazing place to get out and get moving! Please note: Runners cannot register for both the NYRR Staten Island Half and the NYRR Staten Island 5K. Event Hashtag: #StatenIslandHalf—use it in your public tweets and Instagrams to be automatically entered into the new NYRR Social Hashtag Challenge to win prizes! Join Memorial Sloan Kettering Cancer Center and Fred’s Team for Grete’s Great Gallop (named for legendary marathoner Grete Waitz, a close friend of New York City Marathon co-founder Fred Lebow) on October 2 in Central Park! Grete and Fred ran the 1992 New York City Marathon while he was fighting brain cancer. Today, Fred’s Team (named after Lebow) has raised more than $65 million to bring us all one step closer to a world without cancer. Event hashtag: #GretesGreatGallop—use it in your tweets, Instagrams, and Facebook posts! Please note that bib and T-shirt pickup for this race will be held at New Balance Flatiron (150 Fifth Avenue at 20th Street) starting Tuesday, September 20. See below for pickup hours. Boogie down in the Bronx with a 10-mile race through this vibrant New York City borough. With a new race title sponsor this year, the New Balance Bronx 10 Mile promises to be an even bigger and better event for all runners, their friends, and their family. And friends and family don't need to wait on the sidelines, either: Bring them out for the New Balance Bronx 5K, so they can start the morning off with a quick 3.1 miles. The 2016 New Balance Bronx 10 Mile is part of NYRR's Five-Borough Series: Run New York. Five Boroughs. One City.The NYRR Five-Borough Series showcases our renewed commitment to the individuals and communities in each borough. More than just five races, the Five-Borough Series—the United Airlines NYC Half, the Airbnb Brooklyn Half, the Queens 10K, the New Balance Bronx 10 Mile, and the Staten Island Half—is a celebration of what makes each borough unique, inspiring, and an amazing place to get out and get moving! Experience all that the Bronx has to offer while you’re in the borough for the New Balance Bronx 10 Mile! Visit nycgo.com for official information about Bronx restaurants, shops, nightlife, and sporting events as well as exclusive deals and offers. Please note: Runners cannot register for both the New Balance Bronx 10 Mile and the New Balance Bronx 5K. Event hashtag: #NBBronx10M—use it in your public tweets and Instagrams to be automatically entered into the NYRR Social Hashtag Challenge to win prizes! This popular event is held just seven weeks before 50,000-plus runners are scheduled to line up at the TCS New York City Marathon start in Fort Wadsworth! The Tune-Up in Central Park provides 18 miles of motivation and camaraderie to carry you through the challenging preparation phase. Meet us at Icahn Stadium on Randall's Island to take on the competition on the super-fast, state-of-the-art 400-meter Mondo track. Bring your friends and family to enjoy professional stadium seating and fantastic views of Manhattan as they watch you race. Compete in any or all of the night's events to test your speed. Do your favorite event, and then try something new—all for one flat $15 fee. This is your time to shine under the bright stadium lights, as you sprint to a PR or race in a relay with your friends; it'll feel like the good old days of high school or college track and field meets all over again. On June 1, people all over the globe will get moving as part of Global Running Day, a worldwide celebration of the sport and activity we love. It’s about fun and fitness for people of all ages. And it's about the Million Kid Run, which seeks to get a million young participants in this amazing worldwide initiative. To participate in Global Running Day, beginning May 2 simply pledge to take part in whatever running activity you choose on June 1. And tell everyone you know to take the pledge and join the celebration on June 1. Here in NYC, New York Road Runners is offering free events for runners of all ages and ability level, in all five boroughs, all day long! The Airbnb Brooklyn Half, the largest half-marathon in the country, is an iconic 13.1-mile journey through the amazing borough of Brooklyn. The race starts near the Brooklyn Museum and ends with a finish like no other on the Coney Island boardwalk. The Airbnb Brooklyn Half is a part of NYRR's Five-Borough Series: Run New York. Five Boroughs. One City. This NYCRUNS-produced event benefiting St. Nicks Alliance hit the streets running in 2012 and quickly became one of the most popular road races in Brooklyn. This year we welcome Dime aboard as a title sponsor and expect the race to be bigger and better than ever! 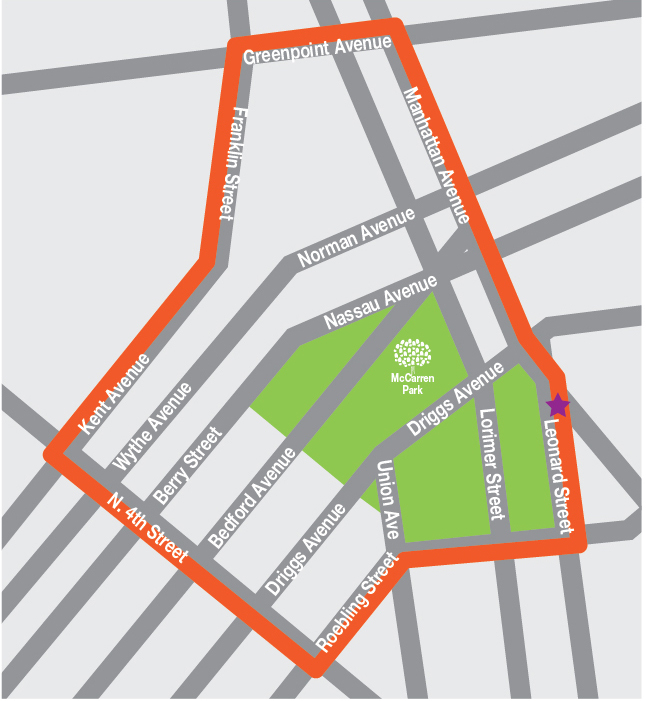 Course: The one loop 3.1 mile course will take you on a tour of North Brooklyn’s hottest neighborhoods before returning you to the finish for a post-race vittles and awards. See course map here. Time Limit: The official time limit is 1 hour. 5K Awards: Awards will be given to the top 3 male and female runners overall and the top 3 finishers in each ten year age group. The awards ceremony will begin no later than 10:15 a.m.
It’s finally Spring! That means more racing, volunteering, brunches, and time for one of our semi-annual town hall meeting. Everyone in NBR is welcome & encouraged to attend our Spring Town Hall. Join us for updates from the NBR Board and NBR Coordinators. Learn about upcoming events, upcoming volunteer opportunities, and share your own ideas and suggestions. We have a lot of new exciting things planned for the coming year and hope you can attend! God’s Love We Deliver provides nutritious meals to people in the New York City metropolitan area who are living with severe illness. For more than 30 years, God’s Love has been there for our New York neighbors so that no one has to fight the dual crises of being sick and hungry. This year’s 22nd annual Race to Deliver is more important than ever! God’s Love now cooks and delivers more than 1.4 million meals each year to people who are too sick to shop or cook for themselves. So join in the race to help raise awareness for those in need! Many runners have described how running makes them feel whole: mind, body, and spirit moving in unison. Chinese Medicine agrees. It views the individual as a whole being with the mind, the body, and the spirit, interconnected and supported by an underlying energy system. This talk will cover some of the basic questions you have about Chinese Medicine and acupuncture. Does it hurt? Not really. Does it work? Many runners swear by it. How does it work? We’ll cover that. We’ll talk about the esoteric and practical elements of Chinese Medicine and how they can be used to create a balanced running lifestyle. And we’ll touch on some common running injuries (plantar fasciitis, IT band syndrome, hip tightness, etc) and how these can be treated with acupuncture and acupressure. Also on the menu is off-season maintenance, which will include a few delicious recipes that use Chinese herbs to address some common running ailments. Stephanie Raine Lee (that’s me!) is a New York State licensed acupuncturist and board certified Chinese herbalist. She works at Worksong Community Acupuncture* located on Driggs and McGuinness. A graduate of PCOM (Pacific College of Oriental Medicine), she has a Master of Science in Traditional Oriental Medicine and makes an amazing roast chicken. She’s experienced in treating muscle pain, anxiety, insomnia, fatigue, gastrointestinal discomfort, and gynecology - and she wants to see you heal yourself. Outside of Worksong, she maintains a private practice in Middle Village and a food blog called The Herby Kitchen. *Community acupuncture’s main goal is to serve the community and make acupuncture available and affordable to everyone. Come and visit us! The NYRR NYC 60K is a race with a long history for New York-area ultrarunners and an illustrious list of former champions. Nothing builds up an appetite for Thanksgiving turkey like running nine loops around Central Park. After 37.2 miles, you’ll even be ready to tackle those leftovers! Please make sure that you're properly trained for this challenging distance.